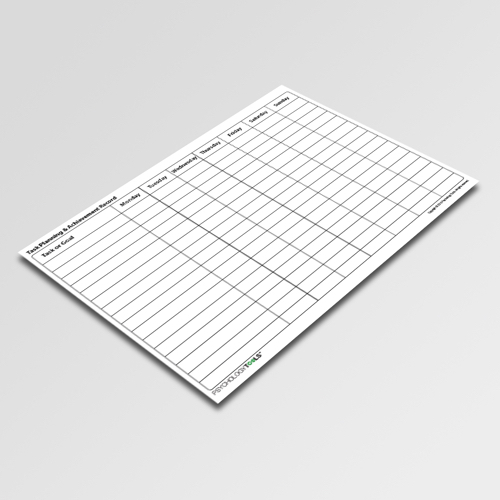 The Task Planning and Achievement Record can be used to plan daily tasks and record goal attainment. 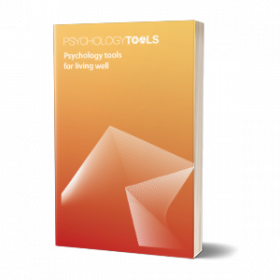 It is most suited for encouraging frequent or repeated activities such as exercise or self-care and can be helpful as part of a program of behavioral activation. 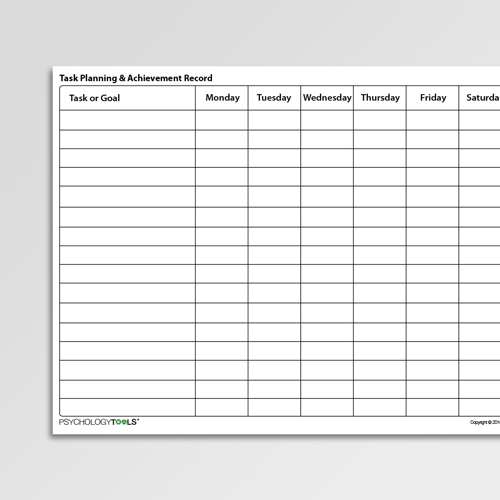 Use the Task Planning and Achievement Record to plan daily tasks and record goal attainment. 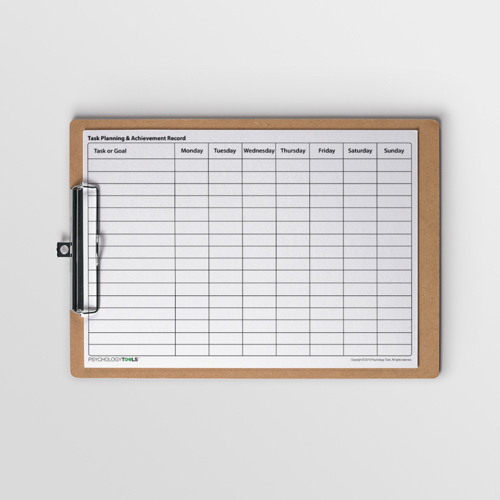 This worksheet can be helpful as part of a program of behavioral activation to encourage consistent behaviour. It is most suited for encouraging frequent or repeated activites such as exercise or self-care. 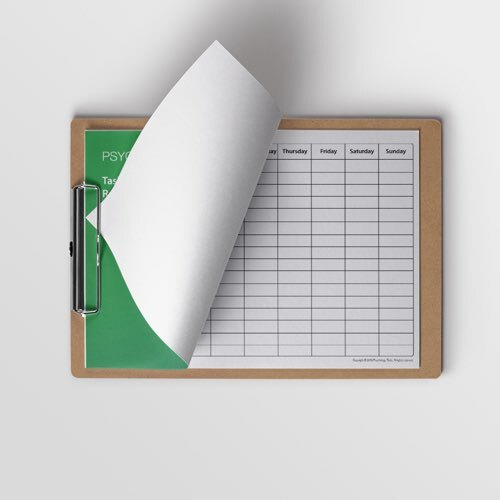 It can also be very useful for patients suffering with pain or fatigue where helpful behaviors may have become sporadic.